I admit I get emotional when I think of how McLean School has improved the life of my daughter Caroline ’21. And I’m hardly alone in this! Many times in my conversations with other parents, I have seen the beginnings of tears in their eyes and heard the quaver in their voices as they describe what McLean School has done for their kids. We are fond of saying that McLean School is “Transformative.” What do we mean by that? That word captures a feeling that many of our students have experienced at key points in their McLean School lives. For some, a typical day at their previous school was filled with boredom, embarrassment, or frustration. Yet, once at McLean School, they find themselves in a place where students are stimulated, engaged, and challenged – all in a safe and nurturing environment that brings out their best selves. McLean School provides an ideal learning environment for a wide range of learners, from students with mild to moderate learning differences to traditional learners who benefit from small class sizes. Many of our students and their parents have been delighted to discover that they are stronger learners than they had ever before imagined. The experience of going from “I don’t get it” (and its variants, such as “I hate math”) to looking forward to each school day is an extraordinary, life-changing relief. McLean School is a college-preparatory school that doesn’t hesitate to challenge its students. We highly value creativity and intellectual curiosity. 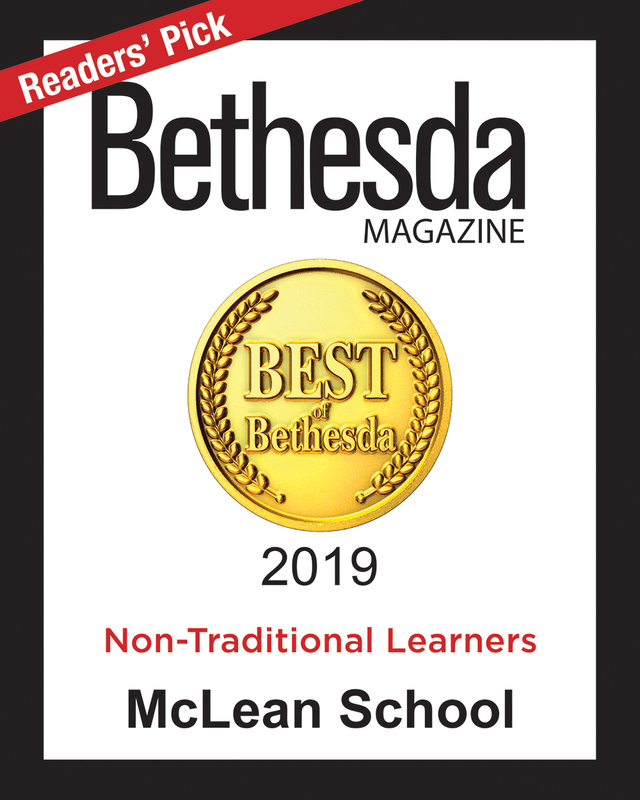 A key attribute that distinguishes McLean School is that each student is encouraged to become aware of and appreciate his or her own learning style. With that self-awareness, and having gained an ability to advocate for oneself, the student can optimize his or her education at McLean School and in college and beyond. In a school that has a deep sense of community, each student can approach learning with a sense of competence. That competence – and confidence – can only lead to a willingness to take risks and to stretch for higher and higher goals. What ingredients does a school need to achieve all this? One key is to have a highly professional faculty made up of teachers who love teaching, who are committed to continually improving their professional skills, and who devote themselves to the well-being of every student. Another factor is having a strong and wise administration; we are grateful for the farsighted and caring leadership of our Head of School, Michael Saxenian, and his team. An important ingredient, as well, is a body of parents who are supportive of their children, enthusiastic about the school, and willing to get involved. Last, but certainly not least, it’s important to have a student body that is filled with a diverse collection of bright, energetic students, eager to participate in a caring school community. McLean has all the ingredients of a great institution, and it shows every day here. Our curriculum is state-of-the-art, challenging, and enriching. McLean has long been devoted to STEM education. You can’t help but notice this as you get to know the school – especially if you find yourself one morning surrounded by robots that are the products of our robotics and coding program. We have a wide range of offerings in honors and AP classes, as well as robust programs in physical education, visual arts, and music. In an era where one hears about countless schools cutting back in art and music offerings, McLean School is pleased to have resisted that tide. We also have a terrific menu of after-school activities such as interscholastic sports, drama, activities, and clubs. Just about everything we do is captured by our slogan, “Transformative.” One example is our annual Cecily’s Advocacy Workshop, a day-long program in which leading experts on learning and development – nationally celebrated individuals as well as professionals from the local community – conduct a symposium highlighting new research and best practices in fostering growth for K-12 students. Named in memory of a McLean parent, Cecily Kodis Kaufman, this symposium has cemented McLean School as a leader in cutting-edge educational techniques. It’s all part of being the best school we can possibly be for students who benefit from small class sizes and individualized learning. The concept of mindfulness is embedded in the curriculum in the Lower, Middle, and Upper schools, and our Student & Community Wellness Program likewise incorporates mindfulness as part of an effort to empower our students to be motivated, engaged, healthy, and challenged. You may have heard about mindfulness programs in media reports about the nation’s top companies and institutions, but we like to say we were into mindfulness before it was cool. Word has been getting out about how great McLean School is. Educational specialists all over the region know it, and Bethesda Magazine named us the “Best Private School for Grades 9-12.” But when I think about how well we are doing, I keep coming back to three indicators: the 45 graduates in the last two years who were admitted to leading colleges (Brandeis, Johns Hopkins, and Vassar, to name a few); the 87 percent of our parents who reported that their child’s self-esteem increased when they joined the school; and the faces of the happy, confident learners who I see whenever I visit the school. We’re on a roll. McLean continues to be a thriving school with a clear sense of purpose. Steve Anthony’s daughter, Caroline, entered McLean School as a Middle School student in the fall of 2013. Steve is a partner in the Washington, D.C. law firm Covington & Burling LLP. He is a trial lawyer who has represented clients in a wide variety of cases, ranging from white-collar criminal charges to patent infringement. He is deputy chair of Covington’s global litigation practice. He earned his undergraduate degree from Dartmouth College in 1983 and his Juris Doctor from Columbia University in 1988. From 1991-96 he served as an Assistant United States Attorney for the District of Columbia, and from 1996-2000 he was a trial attorney in the Public Integrity Section of the Criminal Division of the United States Department of Justice. Steve and his family live in Washington, DC. Michelle’s son Ryan is an Upper School student at McLean, and has been at the school since 2010. Michelle is Vice President/General Manager of Enterprise Holdings, oversees all of the Greater Washington, D.C. operations for Alamo Rent A Car, Enterprise Rent-A-Car and National Car Rental. Additionally she handles the Car Sales, Commercial Truck Rental, Enterprise Communte, Enterprise Car Sharing and Exotics by Enterprise. Michelle began her career with Enterprise Rent-A-Car in 1989 as a Management Trainee and worked her way up to her current position. She has served on a variety of boards including; Harrisburg University of Science and Technology, Washington Regional Alcohol Program, Greater Washington Sports Alliance and Junior Achievement. Hurley Doddy is a Managing Director and Co-CEO of Emerging Capital Partners (ECP). With seven funds and over $2 billion under management, ECP is a leading private equity manager focused exclusively on Africa. ECP has six offices across Africa and over 15 years of investing experience in over 60 investments operating in over 45 countries on the continent. Hurley is responsible for providing overall leadership and strategy for the firm, including management of the investment staff. He serves on ECP’s Executive Committee and the funds’ investment committees. 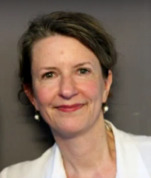 Prior to joining the ECP team in 2000, Hurley was an Executive Director at Sumitomo Finance International in London, creating arbitrage and convergence strategies. Hurley’s career in finance began at Salomon Brothers in 1984, lasting over 14 years with assignments in New York, Tokyo and Sao Paulo. In 1997, he was appointed a Managing Director of Salomon Brothers, responsible for managing all fixed income and equity risk positions for Salomon’s joint venture in Brazil. Hurley received a bachelor’s degree in economics with honors from Princeton University and holds a Chartered Financial Analyst (CFA) designation from the CFA Institute. He is the former Chairman of the African Venture Capital Association (AVCA) and has served on the boards of a variety of Africa companies in finance, education, transportation and telecommunications. In addition, Hurley was on the board of National Child Research Center (NCRC), a leading preschool in Washington DC where he served as Treasurer. He served for eight years on the board of the Sidwell Friends School and was the Vice Chair of the Board and the Chair of the Finance Committee. Hurley lives in Washington DC with his wife ,Deborah Blackhurst Doddy, and two sons. Dr. Mary Wright is a hospital medicine physician and researcher in infectious diseases who worked in patient education for eleven years before attending medical school. Long before her son Alexei graduated from McLean’s Upper School in 2017, she was a big fan of its drama and music programs and a regular participant at Cecily’s Advocacy workshops. Mary brings many years of experience in patient care and advocacy, staff education and government committee work. She has served on executive steering committees involving strategic planning and complex infrastructure projects. In the community, she has hosted for Kidsave which finds adoptive families for older kids, served as Special Needs PTA Rep at a Montgomery County public school, and sat on the Board of Montgomery County CHADD (Children and Adults with Attention Deficit Hyperactivity Disorder) while co-leading its parent support group. She is especially interested in the role of the developing brain in learning and mental health. Mary earned an undergraduate degree from the University of Maryland College Park, a Master’s in Public Health from Johns Hopkins, and a Doctor of Medicine from George Washington University. She is honored to serve on the board. 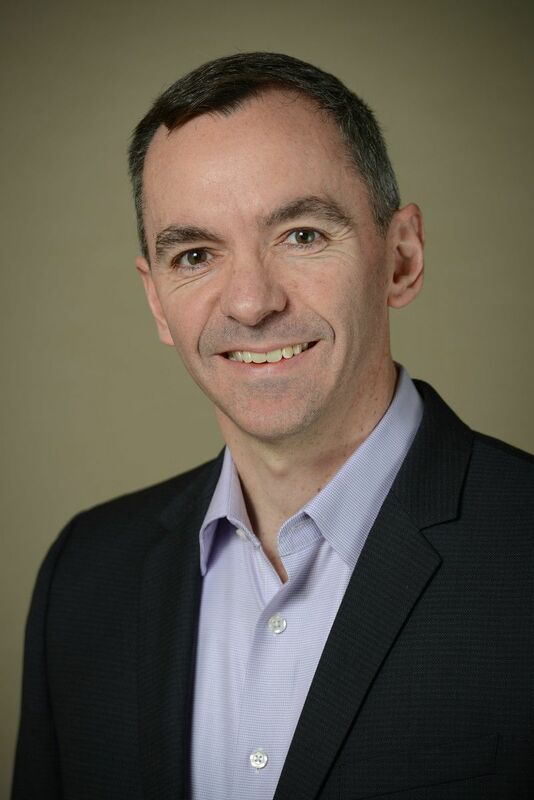 Jim Cigliano is a transformational leader who combines deep expertise in marketing, operations, product development, finance, and business development. Focusing on front line brand delivery, Jim creates strategy that is both compelling and achievable. Jim is EVP/CMO, Marketing and Strategy for WorldStrides the nation’s largest accredited and most trusted educational travel organization, providing a variety of educational travel and study abroad programs throughout the United States and globally (more than 100 countries). Jim serves as WorldStrides' lead customer advocate and marketing strategist to ignite growth through multi-channel customer engagement programs, sales enablement, branding and community building, and overall corporate communications. Prior to WorldStrides, Jim served at Time Warner Cable, leading Customer Marketing and Retention, significantly reducing customer churn with a service-focused improvement strategy. He also led Strategy and Retail Store Transformation for Staples, where he transformed Staple's 1600 retail stores’ culture from order-taking to consultative selling, co-led Customer Retention for America Online, reducing cancels by 500k per annum, and worked at McKinsey where he was a leadership member of the Marketing and Retail practices. Jim received his MBA from MIT Sloan and his undergrad in Economics from the University of Pennsylvania's Wharton School. Jim is the proud father of 3 boys, including Ben who attends McLean and loves it, and the proud husband of over 20 years of Jennifer Rosen, MD, who is Chief of Endocrine Surgery and Vice Chair of Research for the Department of Surgery at MedStar Washington Hospital Center. 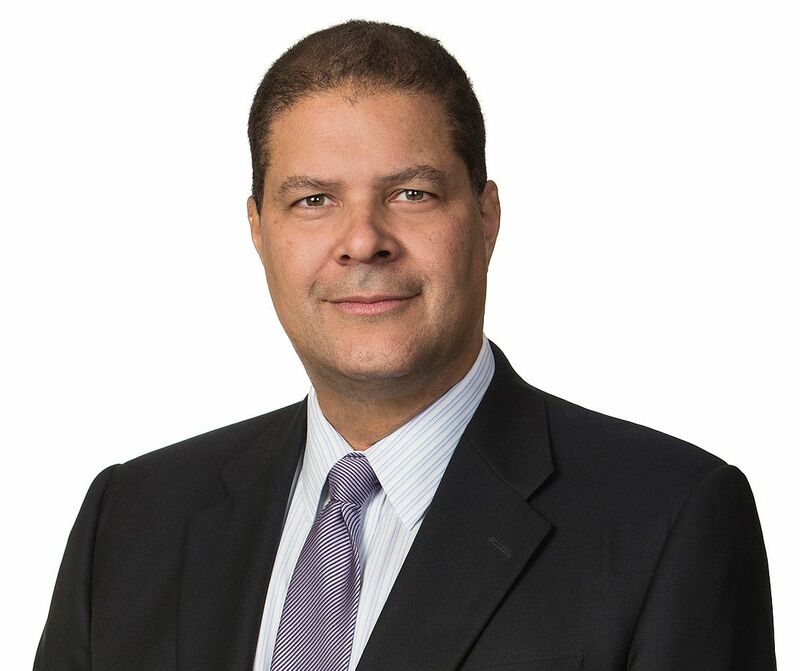 Karim El-Hibri is the President of East West Resources Corporation (EWR), a private investment and business development firm focused on life sciences and emerging technologies located in Potomac, Maryland. As President, he oversees a staff of 10 and manages over $30 Million in assets. During his tenure at EWR, he has doubled the active investment portfolio for the firm and expanded the pipeline for new opportunities. He is also a founding Board Member and Strategic Advisor to the President of the El-Hibri Foundation, whose mission “supports building an inclusive America by advancing peace and respect for diversity inspired by the universally shared values of Islam.” Mr. El-Hibri represents the next generation of leadership at the Foundation by offering strategic oversight and grant funding expertise. In addition, he serves as a board member for The Oslo Center US Foundation and the Center for Peacebuilding International. He is the father of two young children and the son of longtime McLean parents, Fuad and Nancy El-Hibri. He is also a former alumnus of the Class of 1998 at McLean School. Sally Anne grew up in Washington, DC and graduated from Southern Methodist University Meadows School of the Arts with a BFA. She spent time as an Assistant Curator in Washington, DC before moving to Memphis, TN. There she spent 9 years doing residential land development, helping design and oversee both single and multi-family developments. 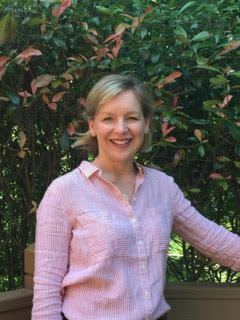 While in Memphis, Sally Anne spent 6 years as a member of the Board of Trustees of The Dixon Gallery and Gardens museum. She also met her husband Joe Pat Junkin there, and after marrying, they moved to Three Forks, MT where they spent 11 years on a ranch raising their children, Olivia and Grayson. In 2008, the family moved back to the DC area and in 2011 Grayson entered McLean. To show her gratitude for what McLean has done for and meant to Grayson and the family, she has been a very involved member of the Parents Association, volunteering in the library, helping with Pizza Lunch, Cecily’s Advocacy Conference, Fall Festival, and Celebration Auction. Sally Anne has also served on the Board of EFO Capital Management and for many years has served as a member of the Board of Regents of Mercersburg Academy of which she is an Alumna. During her time on Mercersburg’s Board, she has been involved in designing and renovating many buildings on campus, as well as helping to grow the endowment. She also serves as the Chair of the Foundation for The Epstein Family Collection. Lynn Friedman, Ph.D., is a clinical psychologist and board-certified psychoanalyst, practicing in Chevy Chase, Maryland. Lynn works with adolescents, adults, couples and families. Since 1989, she has provided organizational consultation to independent school heads, board chairs, and faculty. These collaborations help to foster healthy school environments, strengthen trustee and head relations, navigate changes in the school culture, develop a sense of community, partner with parents and promote resilience. Lynn has written and presented extensively on these topics for professional and lay audiences, including the National Association of Independent Schools and other education-related associations, The Washington Post and the Washington Business Journal. Lynn has been an educator for more than three decades, teaching at Carnegie Mellon and Johns Hopkins Universities. She is deeply committed to education at all levels. In 2013, she was recognized as Teacher of the Year at the Washington Center for Psychoanalysis, where she is a Training and Supervising Analyst. She is delighted to serve on the McLean School Board. Soon after moving to Maryland, their oldest daughter Hannah ’23 was born, Sarah also has two younger children, daughter, Lulu, and a son, Henry. Hannah has attended McLean since Lower School. Sarah loves raising her children and volunteering in her community. She was a board member of Silver Spring Day School where all three of her children went to pre-school. She is also an active member of their church, Christ Episcopal Church of Kensington. Sarah and her family spend much of the summer in Northeast Harbor, Maine. Sarah has gone to Maine every summer of her life and it holds a special place in her heart. She is an active member of this beloved community, sitting on the Board of the Northeast Harbor Swim and Tennis Club as well as the Northeast Harbor Neighborhood House. 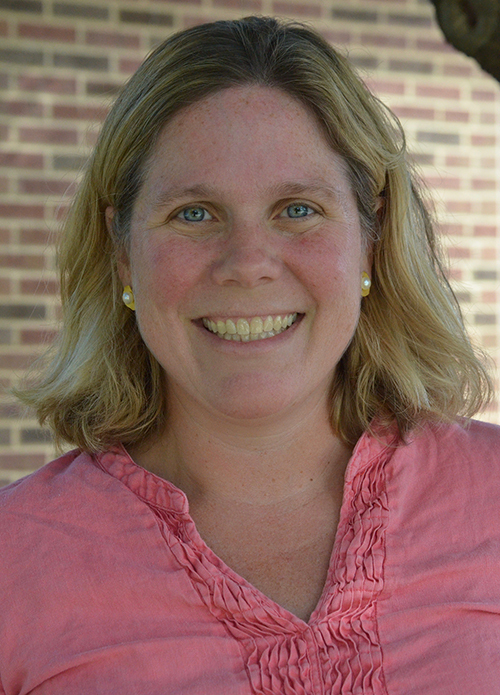 Sarah has been active in the McLean School Parents Association serving as the Vice President for both the Lower and Middle Schools. She and her family are so thankful to be a part of this School community. Bob and Ellison Onsi’s daughter Catherine is a student and has been at McLean since 2008. During this time, they have seen Catherine grow and blossom, both academically and socially. Catherine has made the Honor Roll, is very active in drama and has participated in sports. Bob is Senior Vice President for Product Development at Discovery Education, responsible for developing digital media streaming services and digital textbooks used by over 50,000 K-12 schools across the country. He earned his BS from the University of Richmond in 1993 and his MBA from Darden Graduate School of Business at the University of Virginia in 1998. Ellison is a CPA and a graduate of Virginia Tech. Bob and Ellison were the Co-Chairs of the McLean Annual Fund and are very humbled by this opportunity to continue to serve the McLean School community. Stephanie is the mother of George John Polis, ’25, who has been at McLean since the fourth grade. Stephanie has two decades of political and public liaison experience at the grassroots, state and federal level, has worked on Capitol Hill for the U.S. Congressional Budget Committee, as a Presidential Appointee at the United States Department of Labor, a lobbyist for the U.S. Chamber of Commerce and as a fundraiser both in the public affairs and not-for-profit arenas. Most recently, she oversaw the endeavors of the National Capital Area as the Regional Development Officer for the Boys and Girls Clubs of America. She currently serves on the board of the Children’s National Medical Center for the Hearing and Speech Development Clinic, is the Chair of the Delarue Guild for the Christ Child Society of Washington, and previously served on the board of Trustees at National Child Research Center. Stephanie is a graduate of the University of Wisconsin with a Degree in behavioral science and law, attending as a full opera performance scholar. Her husband, John who is the Co-Founder of Capitol Outdoor Media, Inc., is a native Washingtonian. Their two younger sons, Constantine and Christian are both attending the Mater Dei School. They are enthusiastic supporters of the Merrick Center for Girls, The Wendt Center for Loss and Healing, The Imagination Stage and the DC Prep Charter School program. They live in Washington, DC and are active members of the Saint Sophia Greek Orthodox Cathedral. appointment with the Economics Department of the Krieger School of Art and Science and the Edward St.
Estate. He teaches macroeconomics, international finance, and international real estate. 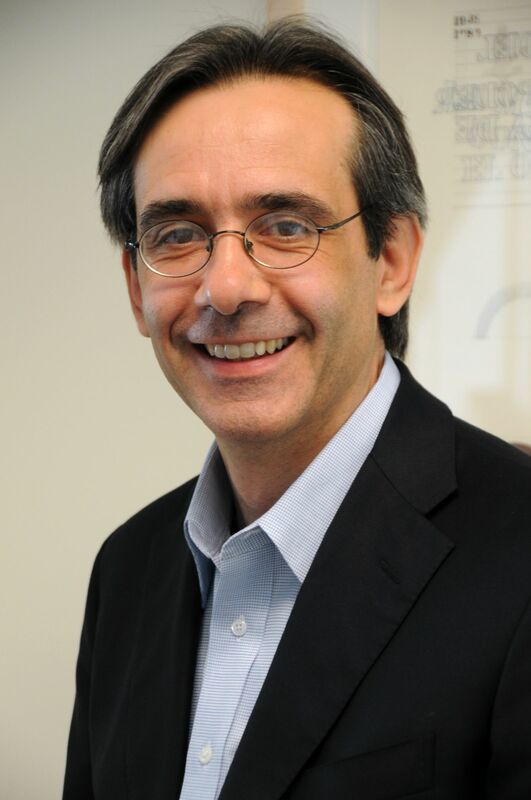 Before joining Carey, Dr. Rebucci had a distinguished career as economist and researcher at the International Monetary Fund and the Inter-American Development Bank. He earned a PhD in economics from the University of London (2002), a MSc in economics (1994) and a “Laurea” in economics and social sciences (1993) from Bocconi University. Michael Saxenian became McLean’s sixth Head of School in June, 2013. In his first five years at the School, Mike collaborated closely with the McLean community – students, parents, trustees, faculty, alumni, alumni parents and grandparents, staff, and other friends of the School – to enrich the School’s program, to raise its profile, and to grow enrollment. Program initiatives included heavy investment in professional development, a new technology platform geared around student learning needs, and innovative programming in areas such as mindfulness and robotics. Enrollment during this period grew by 25%. Mike serves on the Board of the National Association of Independent Schools (NAIS), where he is the past Treasurer, and he is the Finance Chair of the Association of Independent Schools of Greater Washington (AISGW). He recently served on the Board of the National Business Officers Association (NBOA), and was a founding Board member of the Green School Alliance (GSA). Prior to joining McLean, Mike served for 12 years as Assistant Head of School and Chief Financial Officer at Sidwell Friends School, where he led the master planning, design, zoning, financing, and construction of the School’s campus-wide renovations, which included a middle school building that earned the first LEED Platinum rating for a K-12 school, as well as a number of other LEED certified buildings and landscapes. Mike also designed and taught the senior elective, Global Perspectives on Economics, and helped the school triple its net assets from $40 million to $120 million. Mike joined Sidwell Friends School from Discovery Communications, where he served as Vice President and General Manager of Discovery Travel Online. Prior to that he served as Vice President of Conservation Enterprise for Conservation International, and helped start and operate businesses in the fields of education and appropriate technology. He authored the Appropriate Technology Sourcebook, an 800-page resource guide to technologies for rural development with 50,000 copies in print. Mike holds an MBA, an MA in Development Economics and a BA in International Relations, all from Stanford University. Leslie Speidel is a professional career coach and a co-founder of Career Exploration Group, LLC. Leslie works with youth (teens, graduates and millennials) to help them tune into their natural gifts and talents in order to find a career they love. Leslie and her husband, Rob, have two teenage daughters. Their younger daughter, Anna, has attended McLean since 2015. Leslie’s primary passions lie in working with young people to help them feel empowered about their future. She has been an active volunteer in schools and communities since 2005, assisting in classroom projects, organizing fundraisers, implementing character education programs, coaching soccer teams, and serving on PTO and Parent Association Boards. Currently, she is an active member of the McLean School Parent Association Board serving as Liaison to the Middle School. She also volunteers with McLean’s Learning Service Program and is a current Co-Chair of the School’s 2018 Auction. Prior to serving as a volunteer, Leslie held the position of Management Consultant at Arthur Andersen in Washington DC. As a manager in human resources, she helped to implement customer service programs and developed and delivered training programs for Federal Government employees. Leslie holds an MBA from American University and a BS from Boston University in Communications. In her free time she enjoys playing the piano, practicing her French, and spending time with Rob, Caroline, Anna, and their dog, Sandy. She and her family live in McLean, Virginia. Dr. Valaida L. Wise (Val) is currently an adjunct professor at Johns Hopkins University and also consults at area charter and independent schools. She served as the past head of school at the National Child Research Center in Washington D.C, The Harbor School in Bethesda, Maryland and at Henson Valley Montessori School in Temple Hills, Maryland. An educator for almost 20 years, Val received a bachelor’s degree in developmental psychology from Syracuse University, a master’s degree in teaching from Trinity College, Washington D.C. and holds a doctorate in Educational Leadership from George Washington University. A Brava Award Winner, Val has lectured nationally and internationally, most recently on the topic of early childhood education at Tanjian University and other provinces in China. She has presented at a variety of conferences including, National Association of Independent Schools (NAIS) Education Diplomacy, Children’s Trust, etc. 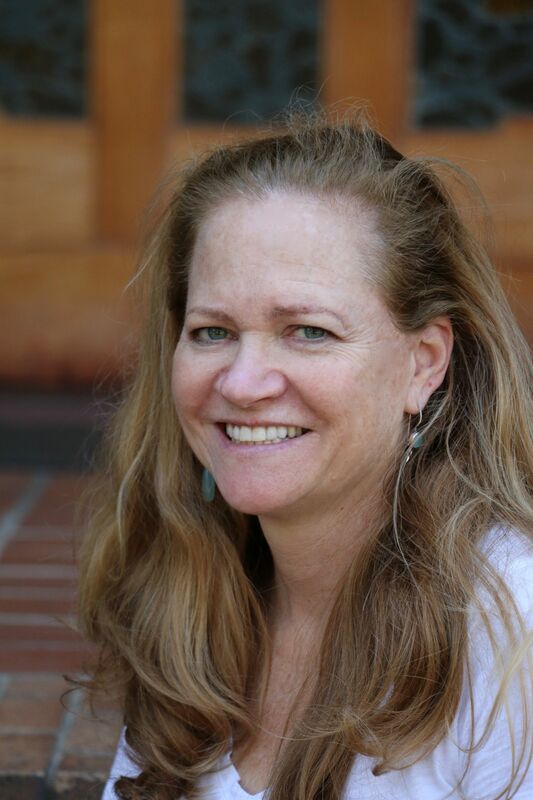 Val has written several articles on educational leadership in early childhood as well as Montessori Education. Her article: A Critical Absence in the Field of Educational Administration: Framing the (Missing) Discourse of Leadership in Early Childhood appears in the International Journal of Educational Leadership Preparation. She is a trustee on several professional and independent school boards. John is a Lower School parent, and his daughter, Jillian, has been at McLean since Kindergarten. John is Co-founder and Chief Investment Officer for Albright Capital Management LLC. He brings more than 28 years of interdisciplinary experience managing a variety of investment strategies and emerging markets products in both institutional capital markets and alternative asset management. 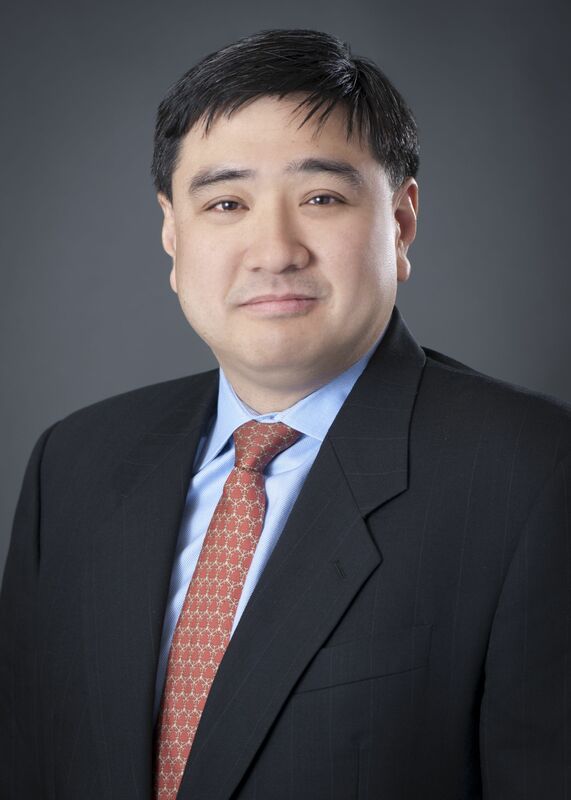 Prior to joining Albright Capital, John was Managing Director and lead public markets portfolio manager for Darby Overseas Investments, Ltd., a wholly-owned subsidiary of Franklin Templeton Investments. He also helped establish ING Group as the preeminent emerging markets investment bank, serving in various roles in trading and analytics. He was Global Head of Emerging Markets Proprietary Trading for ING Barings in London in the 1990’s. John earned a BA in Economics from the University of Chicago. John and his wife, Jeanett, reside in Washington D.C. with their two children.